Just how important a role does your target audience play in the success of your business? Quite a lot, actually. You create your business plan and marketing strategy around your audience, enabling you to build a powerful brand and share it with the world. You don’t want to take them for granted. RadioShack learned this the hard way. As the company grew, RadioShack stepped away from its target audience in search of attracting new customers, and suffered as a result. Over the last 15 years, they have not been able to reach the level of success they once had. And today, for a second time, they are filing for Chapter 11 Bankruptcy. Caution: If I make you feel old, I apologize. (Radio what?) If you grew up in the 70’s and 80’s, or even early 90’s, you may recall RadioShack was the go-to electronics destination for millions of Americans. During these two and a half decades, this retro retail store ruled the market. The American consumers’ interest and desire for new and advanced technology grew as fast as the technology itself. RadioShack was the ultimate place to go to learn about – and buy – the latest and greatest technology. While it may seem archaic to us now, at the time, PCs (Personal Computers for those not in the know) such as the TRS-80 and the early “portable” phones were technologies that propelled RadioShack to success. American consumers were beyond excited about these products and wanted immediate access. For those who were curious enough to open and tinker with this new technology, RadioShack catered to their interest, too. Venture to the back of any old RadioShack catalog and you would find tools to repair, modify, and create your own electronic devices. Motherboards, circuit boards, soldering tools, and all sorts of other gizmos and gadgets were readily available. (Bring back any memories?) RadioShack manifested a culture of customers that were not only interested in this technology, but wanted to fully understand how it worked, how to fix it, and how to come up with their own creations. I was one of these customers actually, and I can tell you it was the golden age for us. This customer base played a major role in the sales the retailer recorded. So by the late 90’s, about 30% of their sales consisted of “Electronic Parts”, a category that encompassed their supply of computer hardware and tools. In 2000, RadioShack had a new business model focused on capitalizing and wedging themselves into the growing electronic consumer market. As a result, they were in direct competition with new companies like Best Buy and Circuit City. Part of the new plan called for the need to rebrand and attract a new audience. This is where they started to decline. Taking a risk and rebranding yourself or your company is a necessary part of business growth. And for RadioShack, it was clearly a great time to do so; they were entering a new century, their retail stores were dated, and they were experiencing record growth. So, how did things go south? By 2002, RadioShack had completely stopped tracking their “Electronic Parts” product base all together and instead focused on new product categories. But for longtime customers, this new approach left them behind. Consequently, the turn of the century became the turning point of their downfall. The company seemed to abandon the qualities that made RadioShack…well… RadioShack! Ever hear of the saying “New phone, who dis?” It’s a classic method to dismiss your caller. (Don’t want to talk to someone on the other line? Try it sometime!) In this case, that’s exactly what RadioShack did to their electronic-loving audience. The entire company was saturated in analogy era and they made no plan to ensure their customer base was part of their new journey. RadioShack recognized they were outdated and even did a powerful ad during Superbowl 2014. While the commercial was memorable, it was a little too late. Their brand only needed a few tweaks, but not a revitalization. Sure, attracting customers to purchase their first DVD player or Plasma TV would expand their market, but why not try to sell these products to the audience whose attention they already had? Instead, their investments could have been used to grow their audience through robotics competitions and partnerships with top universities or other educational institutions. Take Shiva Nathan, a 16-year-old in 2015 who built a prosthetic hand using parts bought from RadioShack. How many kids or tech geeks could have been inspired by using the right marketing strategy? Other competitions like FIRST Robotics Competition and MIT’s Zero Robotics are hosted in partnership with leading universities, notable businesses like FedEx and even NASA. Creating scholarships for students interested in computer science, engineering, etc. is another way to inspire and win the attention of people who are curious about these fields. Any of these methods would have been great alternatives. Seems like RadioShack didn’t get that memo. 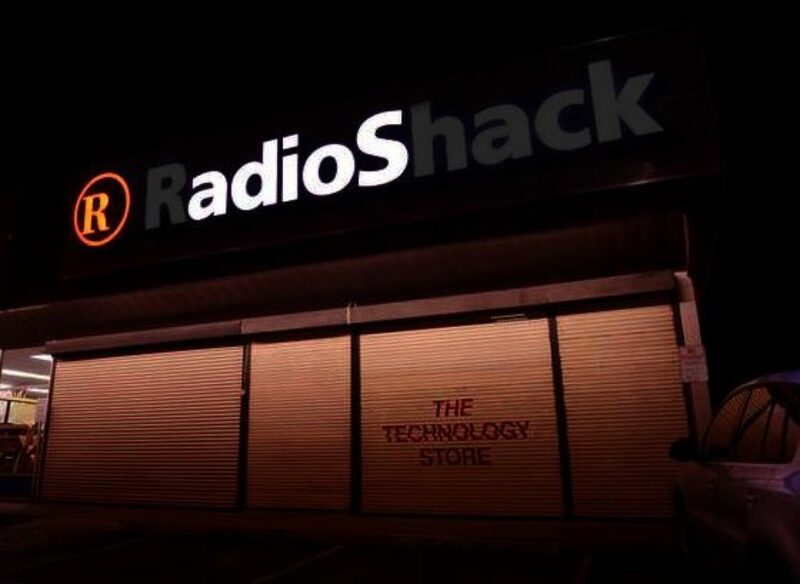 One can argue that RadioShack’s shift is what led to their demise. But, more than likely, it was just the starting point. For instance, Nike didn’t become a billion-dollar company by switching their production of athletic footwear to focus more on fashionable clothing. Instead, they appealed to a new market. So, while still staying connected to their current audience base, they began producing athletic wear with an edge. Through this intentional growth, Nike is now a fashion symbol, all while staying true to their audience. If you are looking to grow and attract new customers, don’t forget your current audience. Otherwise, it could be lights out for you, too. Rebranding and investing in new markets can help your company grow to new heights, but be careful not to completely desert your original audience. So, before you take the step of growing your business, take a step back, look both ways and make sure your target audience has room for the ride. 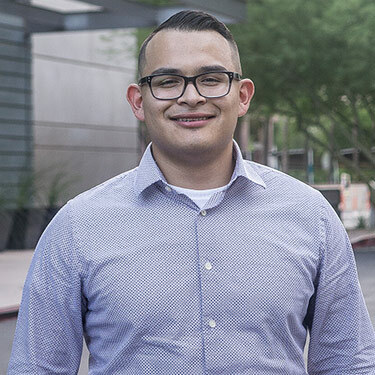 Michael Romero is an Associate at Javelina. His passion for community, family, tradition, and culture drives him to uplift others and motivate them to do the same. Read more posts by Michael.